Every house should have one of these fanstastic Pipsy Koala nightlights. 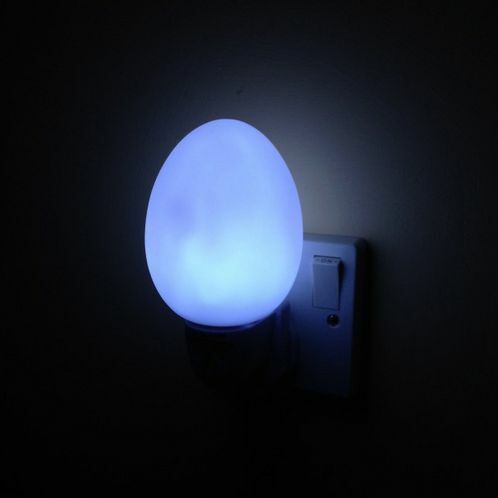 Not only do they give a soft gentle glow at night time to give your child reassurance throughout the night, but they are great to have on landings or other dark areas.The outer dome is always cool to touch and is soft and pliable. Simply plug into a wall socket and the Automatic Nightlight will do the rest. This nightlight comes on automatically and gives a safe and reassuring glow in the dark. One of the most safe and reliable night lights, with a very low power consumption. (0.4 watt). The LED technology gives light a life span of approx. 50,000 hours and is guaranteed for 3 years. Soft and Squidgy "bulb" generates no heat and is child safe too! Conforms to EN60598-1:2008: ONLY SUITABLE FOR USE IN UK PLUG SOCKETS.